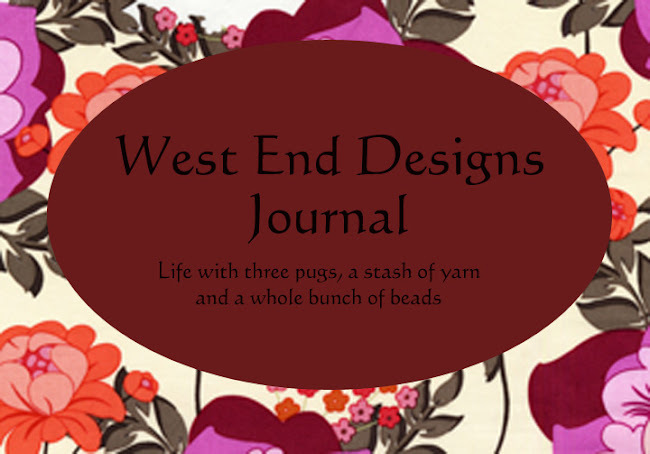 ~* West End Designs Journal *~: A Lentil Recipe! There are so many reasons to love lentils..... they are easy to cook, nutrious and CHEAP!!! (Or should I say frugal because cheap is such an ugly word??) They are really a staple in any vegetarian diet. I mostly use them in soup, but stumbled upon a recipe online and decided to try it. Well, it was OK, but could be better. 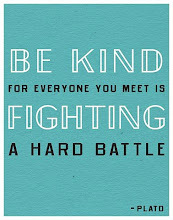 So here is the "tweaked version". And IMHO, a better version. Sure it's not the most attractive dish....but it is so YUMMY!!! Cook lentils according to package directions (20-30 min) Drain and set aside. Saute onions and peppers until slightly browned. Add garlic and cook additional minute. Add Rotel and stir to combine, heat through. 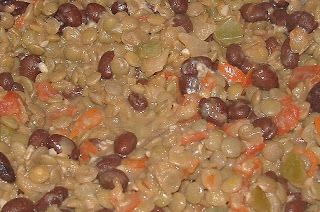 Add black beans and lentils, stir to combine. Add Laughing Cow cheese and stir and melt in. Serve over brown rice or sauteed spinach (or both) with a tossed salad. Makes 4 one cup portions. * Red lentils will not work here, they become too mushy. ** if the chiles are too spicy for you, add 1 can of reduced salt tomoatoes and season with reduced sodium taco seasoning. ***I prefer the Swiss flavor in recipes but it will work with any of the flavors.